The 2019 Dodge Charger SRT Hellcat is making a bold statement. This seventh generation Charger has a brand new interior and exterior, revised feature availability and trim level names, along with excellent styling tweaks that make it look, feel and perform better. 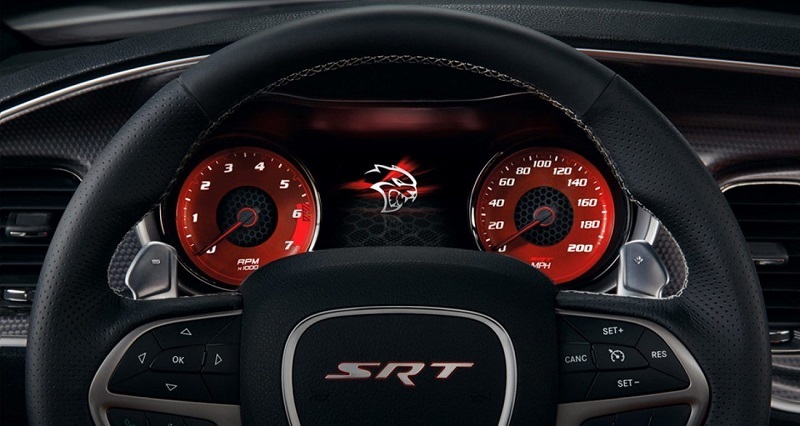 Add a user-friendly infotainment system with a large touchscreen, the availability of powerful V8 engines even for the 707-horsepower Hellcat and the ability to personalize the vehicle with graphics packages and through choosing different trim level and you have a unique, amazing automobile designed to please. Visit the dealership serving Albuquerque Los Lunas Santa Fe and other communities in New Mexico for more details. With 11 available eye-catching exterior colors like Plum Crazy, White Knuckle, TorRed and Go Mango, its aggressive-looking, imposing new grille and stylish 17-inch alloy wheels, the 2019 Dodge Charger is sure to turn heads in Albuquerque New Mexico, Santa Fe, Los Lunas or anywhere else. The SRT Hellcat's iconic design features a functional hood scoop, dual air extractors, rear sloping roofline, wide door openings, big roof pillars, scalloped bodysides and a one-piece body-color performance spoiler for added downforce and balance at high speeds. 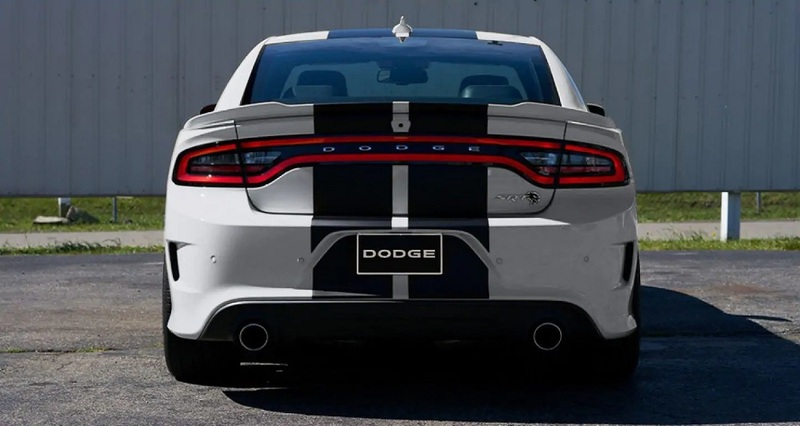 Plus, Dodge's signature seamless LED racetrack taillamp and powerful rear design creates a sleek, chiseled, look that screams superior performance. LED daytime running lights, High-Intensity Discharge headlamps, Bifunctional Halogen Projector headlamps and available LED foglights enhance broad road visibility. 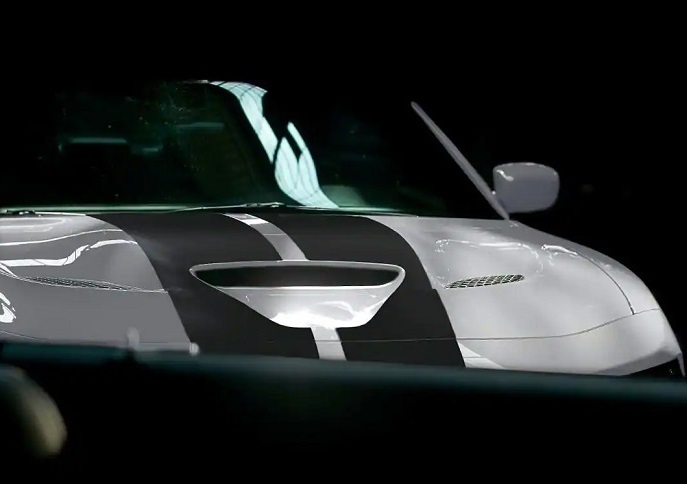 The available power sunroof helps the SRT Hellcat make a beautiful, bold statement: Strength at first sight. Visit the Dodge dealership serving Albuquerque Los Lunas Santa Fe and surrounding areas for a test drive. 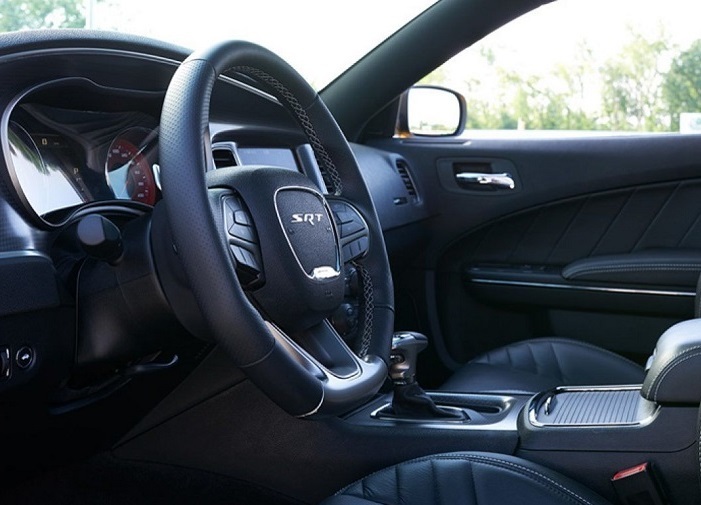 Slide inside the roomy cabin of the 2019 Dodge Charger SRT Hellcat and you'll find a host of technological advances and creature comforts. It includes keyless entry, push-button ignition, tilt-and-telescoping leather-wrapped heated steering wheel, a power-adjustable driver's seat, optional heated and ventilated front seats and heated rear seats. There's also Dodge's excellent Uconnect infotainment system featuring a 7-inch or available largest-in-class 8.4-inch touchscreen, a class-exclusive driver information digital 7-inch display that's customizable, aluminum-lithograph instrument panel, Android Auto and Apple CarPlay smartphone integration, navigation, voice controls, Bluetooth, satellite radio, a six-speaker sound system, optional 19-speaker stereo, dual USB ports, a rearview camera, as well as rear parking sensors. The 60/40-split folding back seat helps create 104.7 cubic feet of configurable space for passengers and lots of groceries and gear. The four-door, five-passenger 2019 Dodge Charger is a rear-wheel drive sedan that blends the mechanical elements of a classic high-performance hot-rod with the modern style and sensibility of a family vehicle. It has available adaptive suspension dampers, performance suspension, new rear axle ratios, upgraded suspension tuning and recalibrated steering. Its chunky, well-weighted, steering wheel feels great in your hands and its electric power-steering gives the driver three steering modes from which to choose: Normal, Comfort and Sport. Available all-wheel drive bolsters this speedster's traction and performance in inclement weather. The SRT Hellcat model of the 2019 Dodge Charger comes with a supercharged 6.2-liter, 707 horsepower V8 engine that produces 650 pound-feet of torque. This powerful engine rumbles and roars as it works in tandem with a class-exclusive eight-speed TorqueFlite automatic transmission with a fully electronic shifter to propel this 4,400 pound vehicle from zero to 60 in an obscenely fast 4.6 seconds. Add its available launch assist feature, line lock, torque reserve, along with its after-run chiller and you have a big, heavy, stylish, ultra-aggressive sedan with very impressive passing power. Car buyers in Albuquerque New Mexico have easy access to a 2019 Charger that has a host of excellent safety features. It begins with its high-strength steel safety frame, ample roof strength that helps protect the passenger compartment if there's an accident. Add High-strength steel side guard door beams that help to provide the vehicle with dynamic side-impact intrusion protection. Plus, there are full-length side-curtain, front seat-mounted pelvis-thoracic side and knee blocker airbags throughout the automobile and advanced multistage front airbags. The vehicle also has protective active head restraints in the front seat. The newest Dodge Charger has all-speed traction control, electronic stability control, optional full-speed forward collision warning featuring active braking, LaneSense lane departure warning, lane keep assist, adaptive cruise control, blind spot monitoring, rear cross-path detection, automatic high-beam headlamps, ParkView rear backup camera, ParkSense rear park assist and more. This vehicle protects occupants in countless ways through standard and available safety features. The 2019 Dodge Charger SRT Hellcat is available in Albuquerque New Mexico at a Dodge dealership that's been serving Albuquerque Los Lunas Santa Fe and many other communities for years. The 2019 Charger SRT Hellcat is an iconic high-performance street racer and a practical, modern, family sedan. Adding the available Technology Group, Driver Confidence, Daytona Edition Group and Blacktop packages can bolster its usability and performance. They add leather upholstery, a Harmon-Kardon sound system, in-car 4G LTE Wi-Fi hotspot, styling and suspension enhancements, a limited-slip rear differential, Brembo high-performance brakes, Xenon headlights, dual-zone automatic climate control and 18, 19 or 20-inch wheels. The Charger launches like a rocket, is maneuverable, handles well and is excellent in city driving, on the open highway and winding country roads. Its user-friendly interior has big, comfortable, supportive, seats, is well-insulated from road noise and has all the controls within arm's reach. It's perfect for short jaunts or long road trips.